with the kids returning to school starting on Monday. and I am one tired pup…did I mention sore too? however despite the last minute, it came together almost how I had pictured it! and let me tell you I really like them! Aren’t they fun? So head on over to JUGS and join us this week won’t you? The stamps and or die cuts are from Verve! Have a wonderful day and I hope to see you at JUGS! eligible to be one of our Guest Designers in the month of October! Categories: Cards | Tags: Card making, Cards, color challenge, rubber stamps, stamping, Thinking of you, Verve Stamps | Permalink. Love this card. Super fun use of the frame and flowers! 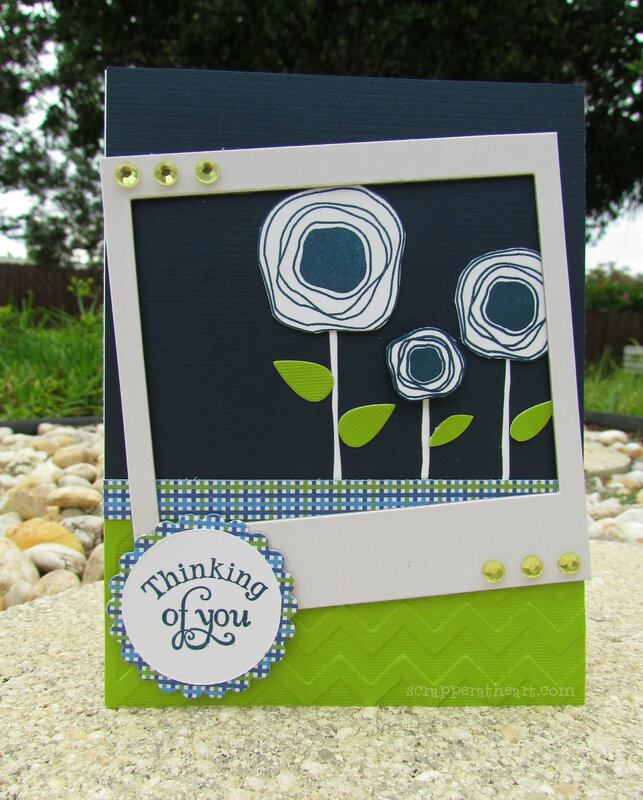 Love how your card came together, Nancy! Those are some fun flowers. Hugs! Way to flash the Verve poppies 🙂 Love the skewed frame too!! Fabulous use of the colours. I love those cute Verve flowers….so cute! 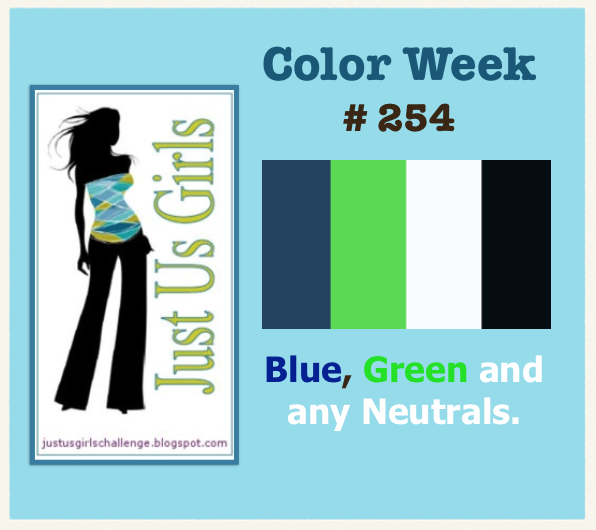 Great use of the challenge colors. Beautiful card! LOVE how yo framed those FAB flowers and bit of plaid paper! This card is just Delightful! Can’t believe school is starting already! Sorry! Love these fresh colors and those flowers are amazing! It’s a great color combo and I love the look of those whimsical flowers. This is a card that is equally perfect for a man as for a woman,I love that about a design!